At Jeanne Marie we are delighted to present this product available for flower delivery in Newcastle and surrounding areas. Hand delivered and complete in a vase. 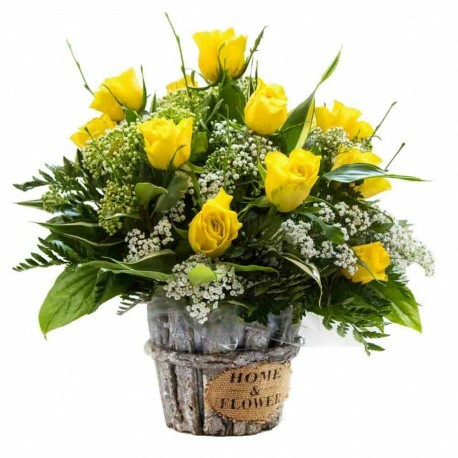 Yellow roses and foliage. (The container may vary.) Only available for Next Day delivery.